GOSH, the Danish beauty brand sold in Superdrug, have been making themselves more and more known in my make-up bag of late. I’ve been a fan of them ever since I found their CC Cream Foundation, which has proper pale shades. On the high street! Since then I’ve been keen to try other GOSH products. I thought I’d share my thoughts about what I’ve bought recently. 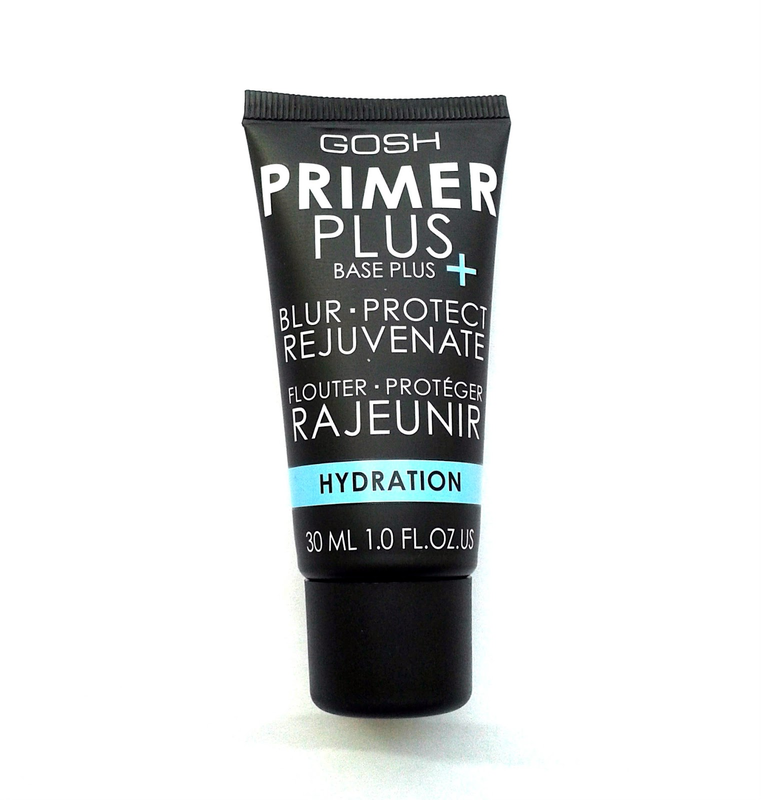 The texture of this primer feels less like the balm-y, silicone-y primers I’m used to and more like a gel moisturiser. It feels so comfortable on dry skin and creates a beautifully smooth base for foundation. I’d advise leaving it for a couple of minutes after application to let it really settle on the skin. It works well with liquid foundation, but I’ve also used it with a mineral formula and had no trouble at all. Well worth a try if your skin is on the drier side. Left: One coat. Right: Two coats. 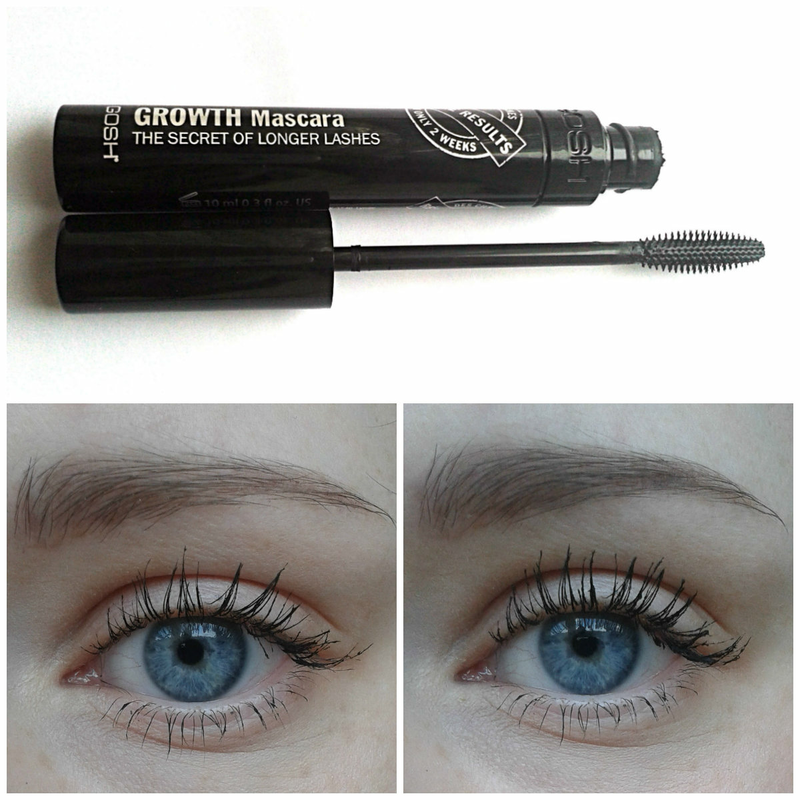 I’ve never noticed a change in the length of my natural lashes when I’ve used Growth Mascara. But it does create pretty, fluttery, separated lashes, which are perfect for day but can be built up for night. The brush is easy to work into the inner corners of the eye and along the lower line to capture every lash. I’m not a fan of bulky brushes, so this is a bonus for me. My favourite lip liner at the moment. I’ve been wearing Angel Kiss underneath lipstick and also on its own (make sure your lips are in good condition). It creates definition, feels smooth on application, and has good staying power, too — in fact, my lipstick lasts longer when I’ve remembered to use it, and I really like the peachy-pink shade. A make-up bag staple. Have you tried anything from GOSH? Let me know in the comments.